FASHION HOUSE Group has started construction of the second phase of FASHION HOUSE Outlet Centre Moscow, its first and highly successful project in Russia. Newly created part of the scheme will add 4,500 sqm of GLA and is due to open in November 2016. Total cost of construction is approximately € 11 million. 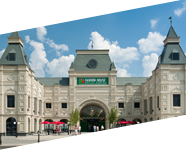 The first phase of FASHION HOUSE Outlet Centre Moscow turned out to be an enormous success. 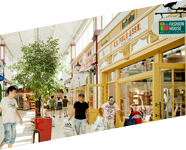 Moreover, the scheme enjoys incessant interest from retailers and is almost entirely leased. During the current financial downturn, the outlet sector in Russia is seeing significant growth, due to consumers spending in Russian outlets instead of going abroad this year. Thus the visitor numbers and sales in FASHION HOUSE Outlet Centre Moscow are increasing against the usual high street trend at over 30% so far in 2015. Additionally the new Leningradskoe highway is providing the project with much easier and faster access than last year. Promising performance encouraged FASHION HOUSE Group to commence the construction of project’s second phase, which will be fully financed using company’s own equity. 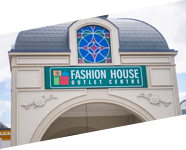 – FASHION HOUSE Group is in this unique position, where it can afford to cover the cost of construction from its own equity. This is a strong signal of our commitment to the Russian market which is one of the key regions of FASHION HOUSE Group development nowadays – said Brendon O’Reilly, Managing Director of FASHION HOUSE Group. FASHION HOUSE Group will also supervise work of local suppliers and control all the details of construction to ensure the best build standard and quality. The Company has an ambitious plan to finish the shell and core stadium by the end of April 2016 and open the second phase of FASHION HOUSE Outlet Centre Moscow to customers in November next year. After completion of the second phase, FASHION HOUSE Outlet Centre in Moscow will have a GLA of over 20,000 sqm and will be home to 132 brands. The leasing process is under its way and first tenants will be unveiled soon. New tenants will join the impressive portfolio of existing business partners like Nike, Lacoste, US Polo, Baldinini, No One, Fabi, Samsonite, Salomon/Wilson, Incanto, Henderson, Mascotte, Ekonika, Ralf Ringer, Cropp Town/House, Reserved/Mohito, Solo Style, Carlo Pazolini, Ochnik, Respect, 7camicie, Yashma Zoloto, Le Creuset, Giovane Gentile, Kanzler, Cacharel, L’Etoile, adidas, Reebok, Benetton, Tommy Hilfiger, Monsoon / Accesorize, Versace Collection, Wrangler, Vans, Lee, Lanmoll, Sesto Meucci, Gerard Darel, LTB Jeans, Home & Cook, Bluemarine and others. – We are excited about possibilities the second phase of FASHION HOUSE Outlet Centre Moscow will bring to our customers and retailers. The addition of approximately 4,500 sqm of GLA and 30 new stores to the scheme will increase a footfall and turnover of our tenants. Moreover, it will allow customers to find even more interesting offers and the best value for money – added Brendon O’Reilly. FASHION HOUSE Outlet Centre Moscow is the first fully enclosed scheme of this type in Russia, which is a key in ensuring outstanding customer experience despite the weather conditions. It offers customers top quality international and domestic brands, available all year round for 30%-70% less than original prices. FASHION HOUSE Group’s portfolio in Russia comprises 2 assets: FASHION HOUSE Outlet Centre Moscow and FASHION HOUSE Outlet Centre St Petersburg (under construction), which clearly distinguish themselves in the market by being the first fully-enclosed outlet centres in Russia. 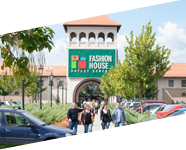 FASHION HOUSE Outlet Centre Moscow, opened in June 2013, almost instantly won hearts of Russian customers. With GLA of over 15,000 sqm the scheme is currently home to over 100 international and domestic brands and offers up to 70% discounts all year round. Currently, the second phase of the scheme is being developed. It is due to open in November 2016 and will add aprox. 4,500 sqm of GLA and 30 new stores. FASHION HOUSE Outlet Centre St Petersburg will offer over 20,000 sqm of GLA, more than 120 stores and food court with seating area. The scheme is under construction and is due to open by the end of 2016.